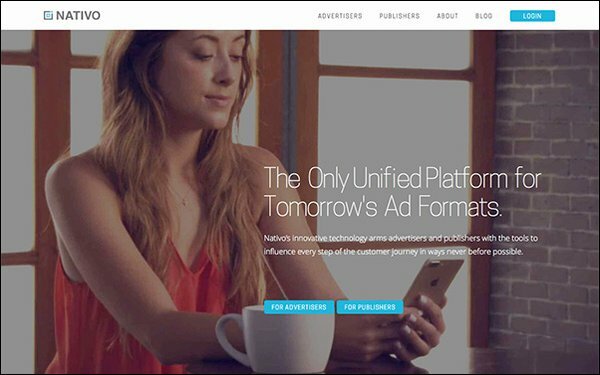 Ad tech platform Nativo has released an update with new tools for third-party monetization, content workflow and programmatic capabilities. Nativo’s platform helps brand advertisers and open web publishers distribute, optimize and measure brand content and native advertising. The latest update — Nativo v3 — “simplifies inventory management, streamlines brand content creation and approval workflows and provides increased control over yield optimization strategies with low latency,” per the company. “Publishers have been under the thumb of the walled gardens for a while, and v3 gives them the opportunity to take back control,” Eugene Cherny, vice president of product at Nativo, wrote in a blog post about the update. Users will have the ability to consolidate demand sources and in-feed formats with the new version. “Rather than acting as anonymous demand, publishers that have brand equity can lend that credibility to advertisers. This gives publishers a differentiated offering and lets them work with advertisers to reach consumers in meaningful ways,” Cherny wrote. Publishers can use the update to control how their direct-sold campaigns, server-side demand and client-side exchanges and bidders compete for available impressions, using configurable auction prioritization and pricing parameters, according to the company. The update includes a revamped content library that simplifies content creation and approvals for advertisers and publishers. It features a centralized brand content hub to upload and manage creative assets, collaborate with internal and external stakeholders using platform messaging and track the status of creative approvals. “Having the ability to access and prioritize a variety of premium demand sources within one centralized platform is a game changer for publishers,” stated Jason Tate, director of programmatic partnership development at Digital First Media, which owns The Denver Post, among other titles. He noted inefficiencies associated with traditional waterfall solutions "made it difficult to get the most out of our inventory" and credited Nativo’s platform with a strategy to "better drive our revenue goals."